Microsoft's big plan for the Surface Pro: is bigger better? While the rest of the internet is still mulling over Surface Mini rumors, one new report says Microsoft may go the opposite way. The tech giant is planning a line of larger Surface tablets, according to DigiTimes. The site's sources said Microsoft is happy with improved Microsoft Surface Pro 3 sales and wants to lean harder into the business side of Surface users as a result. The new, larger Surface Pro tablets will reportedly measure 13 or 14 inches, bigger than the existing 12-inch models. 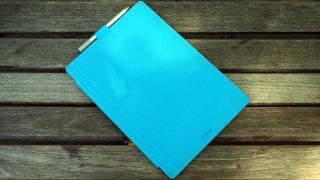 Planning for the bigger Surface tablets is reportedly early still, and naturally the plan may change. Surface tablets still account for just a small portion of total global tablets, but Microsoft said recently that its revenue from Surface sales more than doubled from the third quarter of 2013 to the same period this year. So whether Microsoft chooses to go for smaller or larger slates, it seems the Surface line may be here to stay after all.